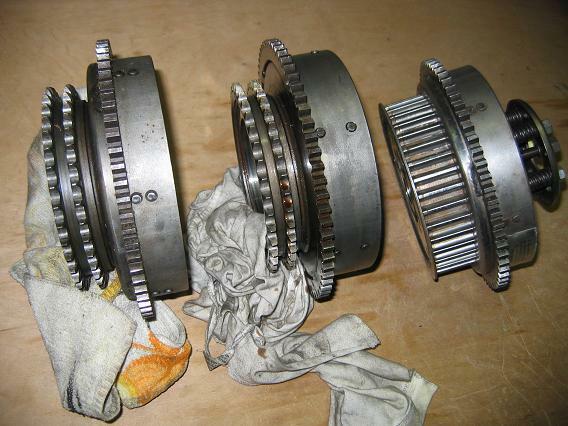 Kits, parts, and services for Shovelhead final belt drives! Harley-Davidson started using final belt drives in 1980 with the introduction of the FXB "Sturgis" model. 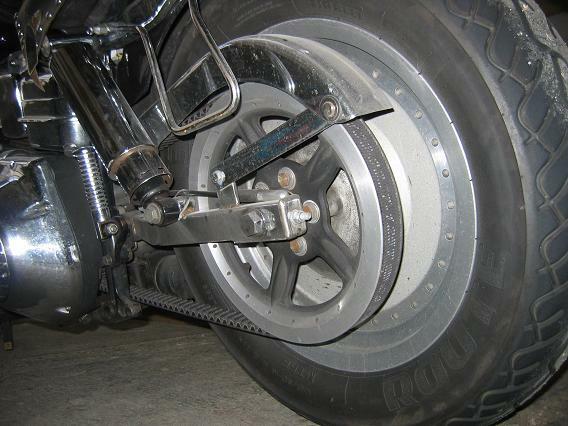 By 1987, all Big Twin HD models were equipped with final belt drives. The sportster models gradually switched over a little later, and by 1994 all HD models came from the factory with a final belt drive. Complete kits for the conversion of your shovelhead from rear chain drive to rear belt drive. New and used spare parts for service and repair of belt driven shovels. Custom machined front and rear pulleys for special applications such as (RevTech) 5-in-4 transmissions or narrow belts. 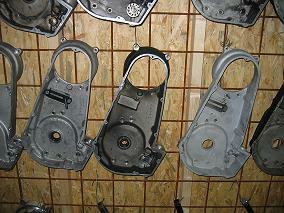 Conversion of chain driven clutch shell and outer primaries to belt driven clutch shell and outer primaries. 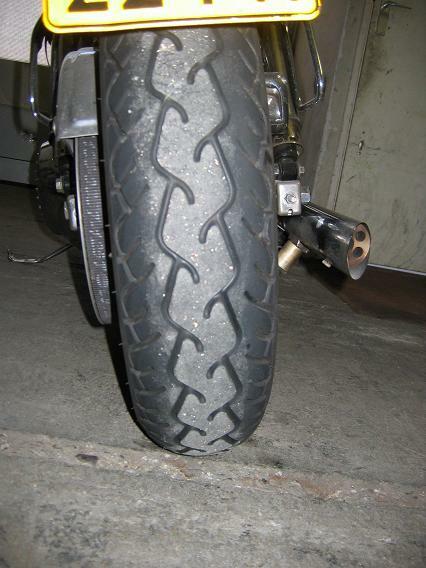 Wide Tire kits and conversions for belt or chain drive shovelheads. Parts differences between chain driven and belt driven shovels. History on Shovelhead (and early Evo) belt drives.